You are hereby invited to join WritingRoom!! This invitation is coming from lindsay, they would love you to check out their writing and join WritingRoom.com. You can view lindsay's profile at http://www.WritingRoom.com/lindsay Thanks for writing! I am a writer. I am also the creator of WritingRoom. If you have any comments or questions, send me a message. I am a writer. I am also the creator of WritingRoom. If you have any comments or questions, send me a message. 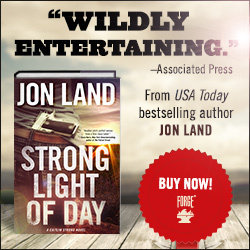 Jon Land -- One of the greatest thriller writers ever! He is the next James Patterson. Anything Stephen King. Nothing beats "It" ~ definetly the creepiest clown of all time. Everything and anything Dr. Seuss. Never has an author been able to bring more smiles to more readers. My favorite...Marvin K. Mooney Will You Please Go Now! The Power of One by Bryce Courtney. Ted Elliot and Terry Rossio...the creative minds who penned The Pirates of the Carribean movies. Eternal Sunshine of a Spotless Mind and Being John Malkovich written by Charlie Kaufman...he has redefined originality in story telling. World Trade Center screenwriter Andrea Berloff...an immensly talented writer. Tim Burton...Beetle Juice is one of my all time favorite movies! Ted Elliot and Terry Rossio...the creative minds who penned The Pirates of the Carribean movies. Eternal Sunshine of a Spotless Mind and Being John Malkovich written by Charlie Kaufman...he has redefined originality in story telling. World Trade Center screenwriter Andrea Berloff...an immensly talented writer. Tim Burton...Beetle Juice is one of my all time favorite movies! Myspace and Facebook ~ thank you for changing the way we communicate and launching the world of social networking as we know it. Webkins.com ~ it's really cute! WritingRoom.com....of course. Myspace and Facebook ~ thank you for changing the way we communicate and launching the world of social networking as we know it. Webkins.com ~ it's really cute! Pandora.com ~ Love it!!! My Grammy. Her generoisty and compassion, unrivaled. Her bravery and strength, unimaginable. Through all she has been through (she is a concentration camp survivor) she has never lost the ability to laugh, love, and live life. She is all that I could aspire to be. "The reason 99% of all stories written are not bought by editors is very simple. Editors never buy manuscripts that are left on the closet shelf at home". "It's better to be lucky than it's lucky to be smart". "For anyone who is: just keep writing. Keep reading. If you are meant to be a writer, a storyteller, it’ll work itself out. You just keep feeding it your energy, and giving it that crucial chance to work itself out. By reading and writing." "If you think that something small cannot make a difference, try going to sleep with a mosquito in the room." "If you haven't got an idea, start a story anyway. You can always throw it away, and maybe by the time you get to the fourth page you will have an idea, and you'll only have to throw away the first three pages." I have severe addiction to diet coke...It's bad, really bad. I order two at a time at a restaurant, seriously. I love to sing and dance, although I am tone deaf and have absolutely no rhythm, but it's fun, and I like fun. I love candy! It's my fav. I'd rather eat a bag of candy corn then anything. I also love peeps, you know, the pink little bunnies that come out at easter, the sugar covered sugar. They're great! I am a runner. I have been running with my dad since I have been 5. You'd think I'd be good, but I'm not. Laughing is my favorite. I laugh alot and I laugh loudly. I have one of those really annoying, hear you from across the football stadium laughs. I think it's essential to have at least one good belly laugh a day. I have severe addiction to diet coke...It's bad, really bad. I order two at a time at a restaurant, seriously. I love to sing and dance, although I am tone deaf and have absolutely no rhythm, but it's fun, and I like fun. I love candy! It's my fav. I'd rather eat a bag of candy corn then anything. I also love peeps, you know, the pink little bunnies that come out at easter, the sugar covered sugar. They're great! I am a runner. I have been running with my dad since I have been 5. You'd think I'd be good, but I'm not. Laughing is my favorite. I laugh alot and I laugh loudly. I have one of those really annoying, hear you from across the football stadium laughs. I think it's essential to have at least one good belly laugh a day. Obviously, I like to write. I spend a good amount of my free time scribbling thoughts, ideas and stories into a notebook. Yes, I still write by hand. I also love to read. Nothing is better than escaping into a great book. Playing on the internet. Can't say I spend too much time in one place. I am a big lurker on many different sites. Love to see what people are talking about. Obviously, I like to write. I spend a good amount of my free time scribbling thoughts, ideas and stories into a notebook. Yes, I still write by hand. I also love to read. Nothing is better than escaping into a great book. Playing on the internet. Can't say I spend too much time in one place. I am a big lurker on many different sites. Love to see what people are talking about. Hello. It so nice to meet people who can help me in my write ups. I will appreciate any constructive criticism from you.. Cheers. Hello Lindsay and thanks for the nice welcome. My "About me" says it all I hope! I have a lot do exploring this very attractive-looking site and laying out some examples of my work. All looks good so far! My first story is up. Please read and let me know. Thank you for letting me join. I have always looked for a place that could help up and coming writers. Hola! I'm the creator of WritingRoom and I am here to help. If you have any comments, questions or just want to say hi, send me a message. Enjoy!